I was licensed to practice law in 1985. 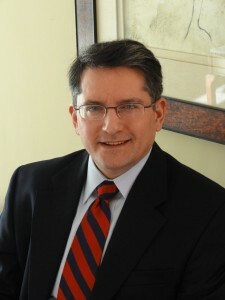 My practice has been dedicated to family law since joining the firm of Rose & DeFuccio, Esqs. in 1986. I am a partner in the successor firm, DeFuccio Clancy & Esposito, LLC where my practice involves representing clients in all aspects of family law including collaborative divorce, mediation and traditional litigation. With over 25 years experience in all kinds of family law matters, I pride myself in helping clients choose the process that is best suited for their needs. Without a doubt, the process that most often produces the best and lasting result is the collaborative process. The collaborative process enables me to work with a highly skilled group of collaboratively trained lawyers, mental health and financial professionals, all of whom are committed to assisting clients achieve long lasting resolutions to their conflict which benefit all family members in a respectful and cooperative manner. I am a member of the Family Law Sections of the New Jersey State and Bergen County Bar Associations. Since 1999 I have been certified as a matrimonial law attorney, a specialty designation by the Supreme Court of the State of New Jersey. 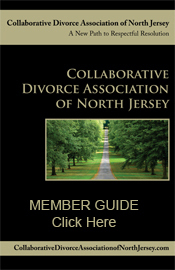 I am a Court approved Family Law mediator and one of the founding members of the North Jersey Collaborative Law Group, which is now known as the Collaborative Divorce Association of North Jersey (CDANJ). I am the current President of the CDANJ and a member of its Board of Trustees. I am also a member of the International Academy of Collaborative Law Professionals, a former Group Leader and Master of the Northern New Jersey Family Law Inns of Court, and a longstanding panel chair on the Bergen County Matrimonial Early Settlement Panel. I have lectured to various groups on a variety of Family Law topics including collaborative divorce.